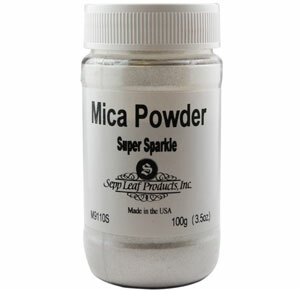 Mica is a mineral that is used commercially in products such as fingernail polish, to create a glittery appearance. 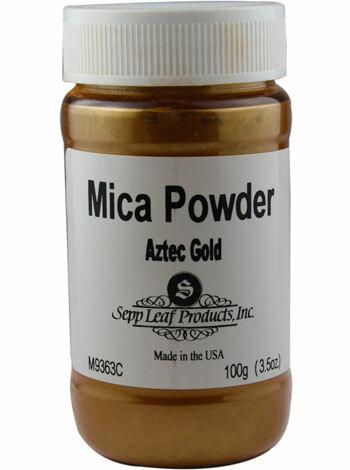 Mica is flash gilded by dusting over a water-based or oil-based gilding adhesive, to produce a highly reflective metallic finish. 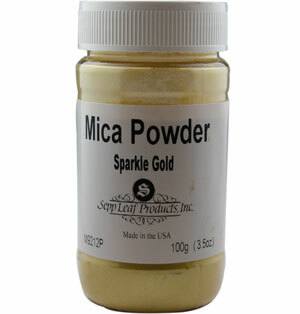 It is usually sold in powder form and is available in a range of shades - usually shades of gold, silver and bronze. 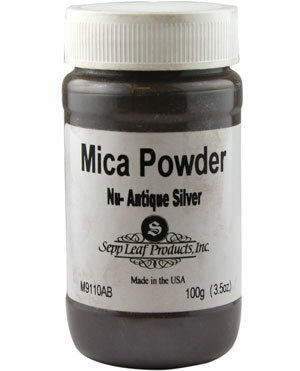 A wide range of metallic effects can be created with mica powders. 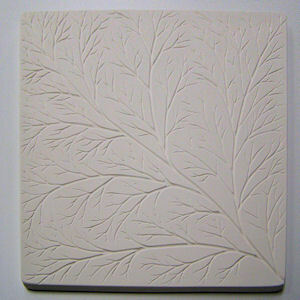 For example, they can be combined with virtually any medium and applied as a paint or glaze. 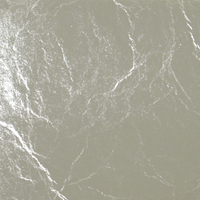 These liquid solutions can be painted on or airbrushed - the latter approach gives the most even appearance. 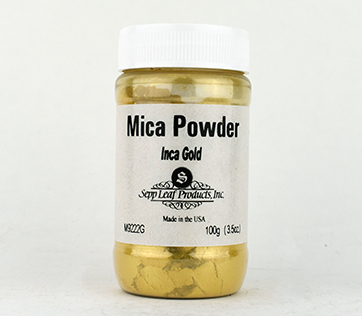 Mica powder can also be sifted onto a base layer of glass, then capped with a clear layer of glass and fused, or it can be sifted directly on top of the glass, using stencils or resists to precisely place the mica. 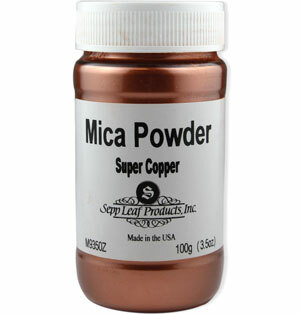 If the top surface of the glass is coated with a glue or over spray, these coatings will help keep the mica in place. 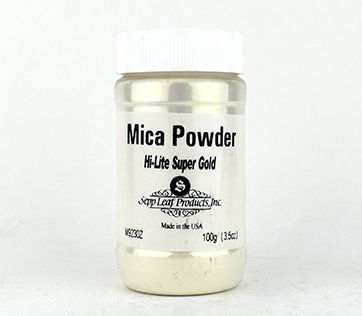 The mica powders stocked by us are formulated to withstand temperatures of up to 900ºC. Mica powders are not generally considered hazardous, but prolonged contact with skin should be avoided. 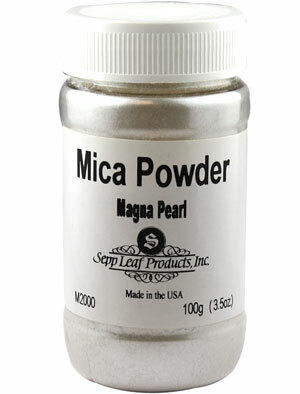 Breathing in the fine powder particles should also be avoided. Add highlights to your glass with genuine 22 karat gold leaf, gold leaf foil, pure silver foil and silver leaf. Be warned, however! The foils and leaf can be very thin and difficult to handle. 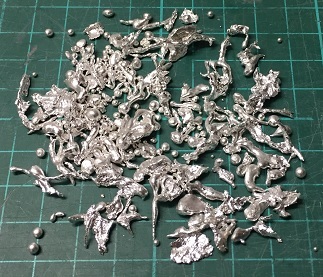 Silver Leaf - 85.7 mm (3 3/8) square"